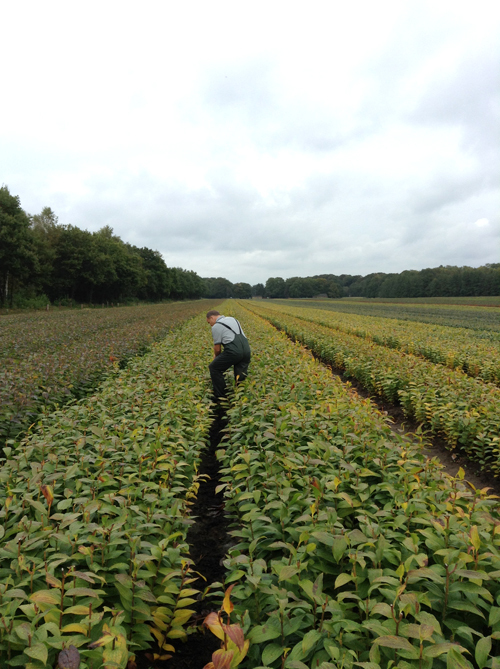 In the North East Polder the growth is good till normal, although harvest of the medium sizes will be certainly less than last year because of too many large sizes, but nevertheless the estimated quantities that have been sold by the growers will be available in general. LA bulbs in other parts of Holland have grown somewhat less, due to too early withering of the plants caused by the humid growing conditions, so probably we will have some shortages. In general the growth of OT looks normally, there are no peaks in the big sizes like last year. the material which has been planted much later, or less rain at the initial growth. We can now clearly see that OT types grow much easier compared to the oriental varieties.